Mr.David Layne, an American valuer expert came to teach valuation for our staff members. Government officers from Bank of Thailand, SEC, Department of Lands etc. Mr.David Layne, an American valuer expert came to teach valuation for our staff members. 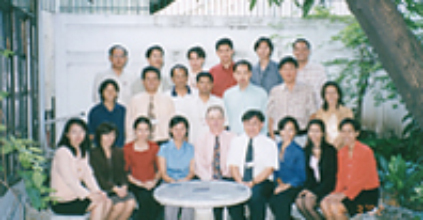 Government officers from Bank of Thailand, SEC, Department of Lands etc. were invited to attend class as well, AREA Bangkok HQ.